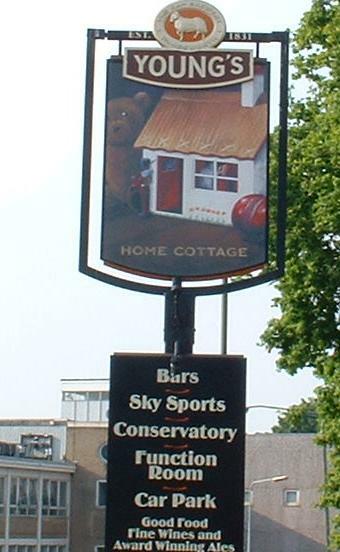 The Cottage remains a popular destination for those seeking a smarter environment in which to eat decent food, yet do so in a predominantly pub-led place and preferably outside of the immediate town centre. I recently ate here and found the food to still be in fine fettle; we ordered both fish and meat bar 'snacks' - arguably starters really given the generous portions - and enjoyed every mouthful. The wider mains menu carried some appealing options and whilst there isn't exactly an arsenal of competition for foodie venues in town, this one does hold its own consistently, despite frequent moans about how expensive Young's Pub Co outlets are nowadays. To drink we sampled both Young's (Wells!) 'Bitter' (Ordinary!) and a guest - Surrey Hills 'Shere Drop'. Both were in decent nick, though arguably not exceptional. There isn't much positive to say about Young's since their sly but determined exit from actual brewing in the 2000s, but at least nowadays in their pubs one can find a slightly-more varied range of beers on cask, and increasingly, keg. Although this always feels like a primarily-younger, and mostly couple-or-group-led venue now, there is patently still a place for the modern interpretation of the Home Cottage locally, and it's never a bad experience. Drinkers' pub it ain't really, but if in the market for meals, you could do worse than drop by here. Where more traditional pub lovers and drinkers arguably lost out in the 2011 refurb, the contemporary cohort and eaters gained. The Cottage is undeniably a smarter, slicker venture nowadays, with expensive (as per Young's ludicrous 'one size fits all' central London pricing policy) but reliable quality meals on offer, in an expanded bar/restaurant area plus a decent-size garden with decking, which comfortably accommodates a mixed clientele including families. And the beer remains well-kept in my experience, although of a more narrow range than was the case a year ago. But, despite retaining certain aspects of the old layout and original features dating back to the pre-Young era (i.e. pre-1978), it has lost a lot of appeal to the folks who just wanted to come and enjoy a beer with food as a sideline; darts and live music are no more and it's altogether more of a younger, middle-class vein than before the change. 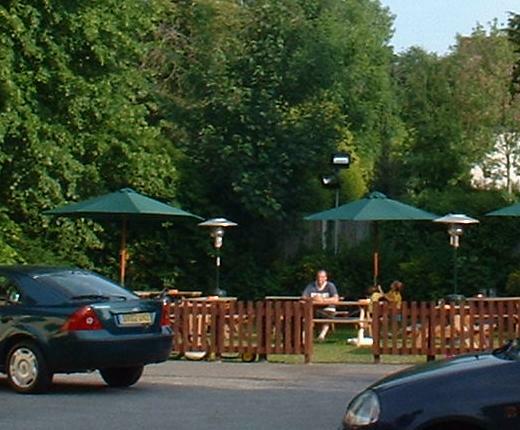 It's swings 'n' roundabouts I s'pose, and one can appreciate the business sense behind the change, which has proven to fill a much-needed gap in the local market for a smart pub-based eaterie. There was literally NO competition. Alas, few can survive on wet sales alone these days. I'd say avoid the HC if you're on the your own - you'll feel very conspicuous by having either (i) no friends and/or (ii) no kids! Used to visit more regularly a good few years ago, when this pub felt rather cramped and smoky. Nowadays, the Home Cottage benefits from a hugely more spacious, comfortable, modern interior with good outdoor capacity too. The ales are extremely well kept (the Bath Ales Summers Hare was delightful, the Ranmore Ale was in fine fettle too) although my companion was rather taken aback at gin being more expensive than in Covent Garden. A fairly diverse mix of punters, and a generally relaxed feel to the place. Efficient bar staff too. 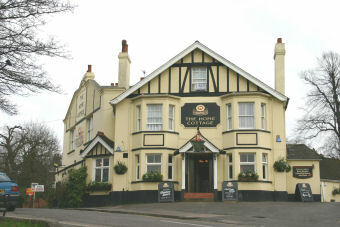 Overall, a real boon to the Redhill pub scene, and certainly worth frequenting. Large Youngs pub just up the hill from the station. Having never visited before I cannot comment on how this place used to like inside but the large bar that serves the pub at the front and restaurant at the back is in a perfect position and couple with a good range of Youngs ales including the winter warmer. We sat in front of the roaring fire in the front with the restaurant out the back in a conservatory that neatly divides food from drink. Went back for a proper visit on Saturday night and came away with mixed feelings. 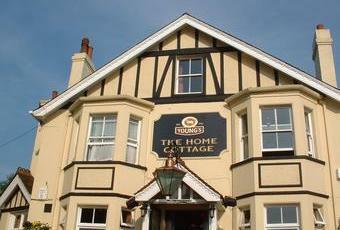 The pub was very busy with a decent selection of beers, we went for the Aspel cider which was good. The pub itself had a good atmosphere with plenty of bar staff so no waits to be be served. The food was where the mixed vibes came from, my steak was good but the steak and ale pie that Mrs Kevmac had wasn't great with the meat being chewy, I would have sent it back put the other half doesn't like to complain. The prices for the food was also a bit naughty with my personal pet hate of charging for all the side dishes. Come on guys that is out of order, stop trying to make your meal prices look reasonable then sting your punters for chips, veg etc it's a naughty trick. I will be back for drinks but don't think I will bother for food.